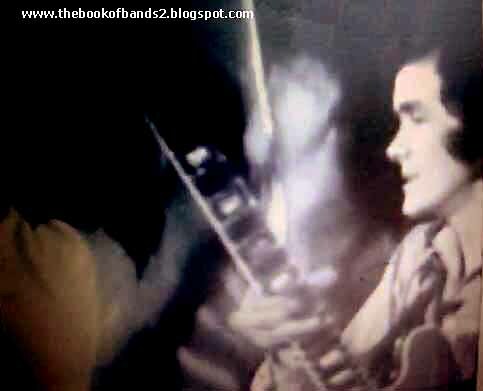 After a 6-month stint in Winston G & The Wicked, Ronnie Harwood returned to the Savages in September 1965. He now worked with Carlo Little who would ask him to stand in for John Lawson some months later, when the Savages went to France. Ronnie Harwood and Pete Phillipps eventually would reunite with Sutch and back him during some gigs in France and a tour of Italy in the summer of 1966. In fact, after the gigs at Paris Olympia and in Rouen, the members of The Universals returned to the UK, backing Chris Lamb, whereas Harwood stayed in France where a local promotor asked him to form a new line up with Phillipps, who had just finished a tour with Paul Dean & the Soul Savages alongside the Who and The Spencer Davis Group, and a guitarist nicknamed “Smelly George" because of his pronounced body odour (1). They were booked for a week in Rouen before playing in Parisian clubs such as la Locomotive and The Top 10, and making Juke boxe movies there. As the previous saxophonists left with Derry Wilkie, Sutch had to recruit two new saxophonists: Peter Green, from John O'Hara & The Playboys, on tenor and returning Peter Mundy on baritone (2). The new crew appeared at a pop festival in an open fort called la Tour de César, in Provins, near Paris, France, with the Yardbirds and the Small Faces, on 27 June 1966. This was broadcasted on French ORTF, on Michelle Arnauld's TV programme "Music Hall de France" on July 22nd. Soon after they underwent an Italian tour, in July 1966. 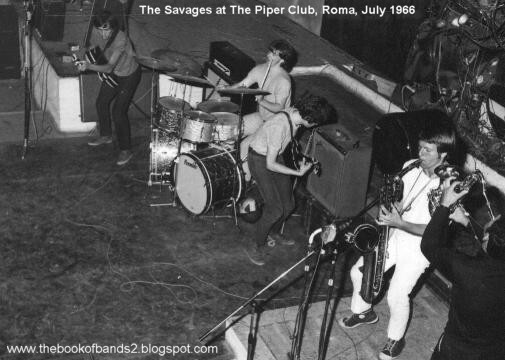 They played Piper Club circuit - Rome, Milano and Viareggio - taking part of the opening night of Viareggio Piper Club on July 17th, 1966, along with Patty Bravo and The Patrick Samson Set. Rome Piper Club was the first opened by Alberigo Crocetta and Giancarlo Bornigia. The backdrop to the stage area was designed by Roman artist Claudio Cintoli and was titled: "Il Giardino di Ursula" (3). On July 30th, 1966, The band were still in Rome during England’s World Cup Triumph and got arrested for throwing girls into Trevi Fountain in celebration. When the Italian tour finished, Pete Phillipps joined up The Upper Hand alongside Freddie Fingers Lee and Ian Hunter (of Mott The Hoople) when they started playing the Star Club, Hamburg, in Germany, and Ronnie Harwood decided to form his own trio with Ron Wolstenholme on drums and former Twilight Al Jarman on bass. "With everyone loaded in the van, the smell was so strong that Pete Phillips jumped out, went across to a local store and came back with a can of deodorant spray that he immediately emptied on George, who was apparently totally unmoved!" (2) Former Moonrakers members, Chris Rodger and Martin Barre missed out on the job with Screaming Lord Sutch and went on to join The Noblemen. The newly recruited baritone saxophonist, Peter Newman, wasn't related to the tenor saxophone player of the same name who was part of the Original Savages, and who - at the time - had put a soul band together that was named The Felders Orioles and taken under the wing of Pye Piccadilly label with John Schroeder. (3) Piper Club, Via Tagliamento 9, Rome: Two big paintings and a sculpture made of car parts, tires and all. Very Pop Art. The stage was wide enough to have two bands set up their equipment side by side, as they alternated between live sets all night long. In the front, big steps connected it to the dance floor as well as stairways on both sides.